At Omega, we work hard to maintain a comfortable atmosphere where creative artists can do their best work. Our recording and engineering capabilities outshine most other studios and include orchestral recording, musician contracting, and live TV and radio broadcasting and long distance recording. 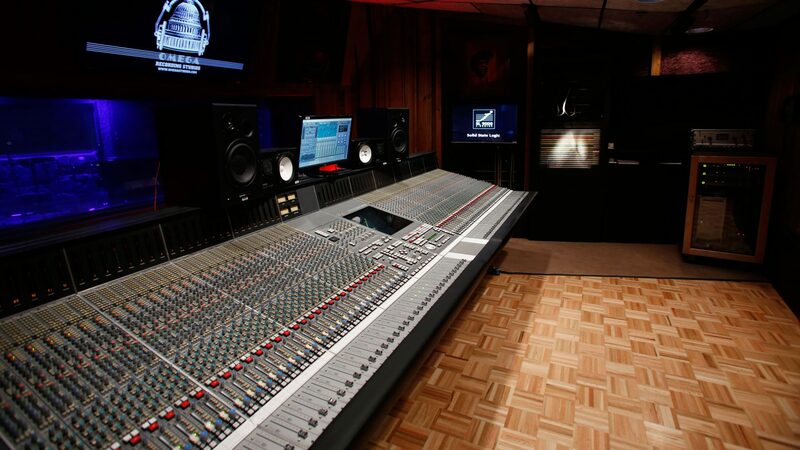 Our list of recording specialties insure that you will be able to accomplish your creative objectives in the studio. All of our studios are interconnected with a transformer balanced audio/video tie-line system. Omega’s three tracking rooms (Studios A, B and C), each have a Studer A-80 2” 24 track analog tape machine and at least 24 inputs and outputs of Pro Tools HD 3. Additionally, a plethora of modern and vintage gear will help help capture that perfect sound. A wide variety of musical instruments are available, including a complete line of concert and auxiliary percussion including timpani, chimes, mallet instruments, drum sets, Hammond B-3 organ, Leslie speaker, Fender Rhodes piano and Moog synthesizer. We also have an extensive collection of vintage keyboards, MIDI devices, guitars, basses, and amplifiers. Our Studio pianos include a Steinway B Grand Piano, a Kawai six-foot Grand Piano, and a Baldwin upright rehearsal piano. We are a major contractor for top professional musicians in every musical style. We can contract voice talent for any purpose and can also provide conductors, producers, composers, arrangers and music copyists. Omega offers Analog to Digital transfers from most tape formats, audio restoration from vinyl, and analog tape baking. You can view our other Services here. If you have any questions, please contact our Studio Manager, Shannon Follin here.